They say that no man is an island, and that holds especially true for rappers. While it may be the man with the mic that gets the lion&apos;s share of the spotlight, behind even the most prolific headliners can lie a vast team of producers who play an integral part in the album&apos;s we come to love, and they deserve their moment in the sun too. Case in point, after Wale dropped his stellar new mixtape/free album, Summer on Sunset, we noticed what an impressive roster of producers were attached to the project and, in grand DJBooth Liner Notes tradition, we directly connected with Mr. Folarin to detail all twenty-two producers who helped make SOS the new summer soundtrack. 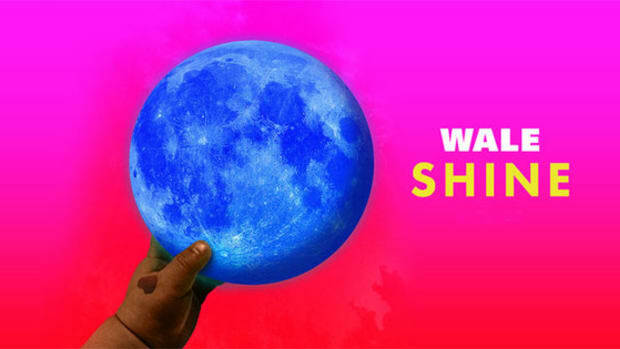 Those anticipating Wale&apos;s upcoming Shine album and digging SOS are in luck. He told us that the two projects have a similar vibe and feel, and that he&apos;s been recording them simultaneously. 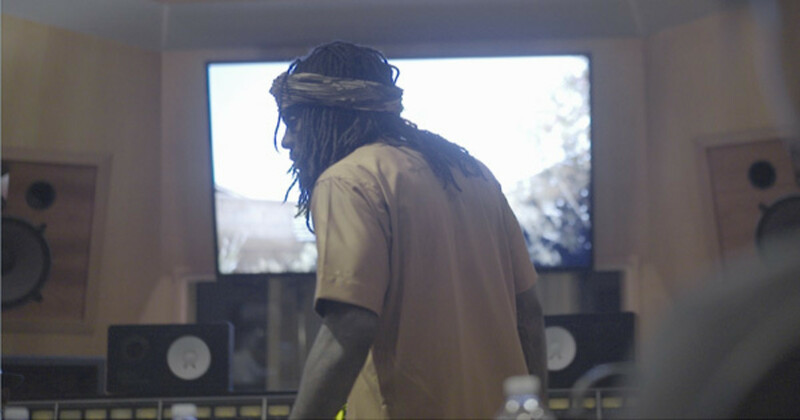 While Wale had been collecting beats for the past year, he recorded SOS on-and-off for a full six months, and that he approached his beat selection process unlike any rapper I&apos;d heard of, insisting that he purposefully didn&apos;t know who produced any of the instrumentals until after he&apos;d selected the beat. "That&apos;s why you never see all big names," he explained. And on that note, from Jake One to DJ Mustard and everyone in between, here&apos;s each and every producer on SOS. 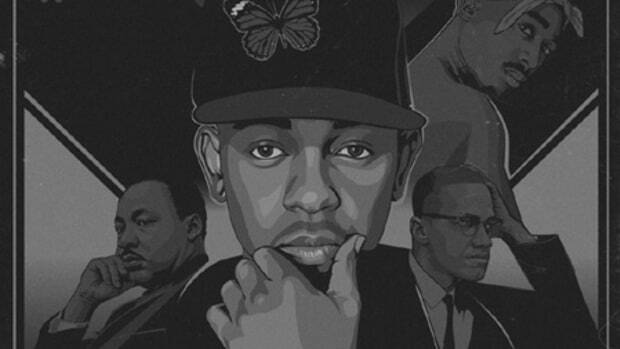 All hail the beatmakers. Credit: "Day By The Pool"
A frequent collaborator of the next name on this list, Augustine Grant, A|C is the producer responsible for the beat switch up on the second half of "Day By The Pool," which incorporates a killer Aaliyah sample. The L.A.-based producer has also worked extensively with Eric Bellinger, most notably on his late 2015 release Cuffing Season, Pt. 2, and Booth favorite Boogie. Credit: "Women of Los Angeles ft. Eric Bellinger"
Grant&apos;s name might be new to most, but the songwriter and producer has been in the studio for years with some of your favorite artists. The California native, who has a publishing deal with BMG, has worked with Justin Bieber, Eric Bellinger, and Tory Lanez, just to name a few. If you enjoyed "Women of Los Angeles," Grant promises that he and Wale have a lot of "great things coming." Brandon Hamlin, otherwise known as B Ham, co-produced "Women of Los Angeles" with Grant. Originally from Virginia, the producer now calls Los Angeles home, where he has racked up credits working with Diggy Simmons, Tayyib Ali, Ty Dolla $ign and Yo Gotti, among others. Mayeson&apos;s first appearance on DJBooth came back in 2011, when we featured "Politics," a record from Ta’East featuring Stevie Crooks and a pre-Roc Nation Casey Veggies. Mayeson would go on to produce Ta&apos;East&apos;s entire The Popular Stranger album, released in 2012 and also featuring a young Skeme and BJ The Chicago Kid. Currently, the San Diego native continues to work with Ta&apos;East, they just wrapped up his Okay I&apos;m Ready EP, in addition to Booth favorite Snoh Aalegra. Not to be confused with a Canadian producer of the same name, CHANN3L is a Los Angeles-based DJ and producer who doesn&apos;t have any notable credits to his name, a sparse SoundCloud and almost no social media presence. This placement would seem to be part of the first chapter of his story. Knocks is a producer and engineer from Washington D.C. whose home base is House Studio, known widely as the best recording spot in the DMV. In addition to working with his fellow D.C. native Wale, Knocks has collaborated with Dej Loaf, Future, Logic, Trey Songz, Young Thug and more. Credit: "Gangsta Boogie ft. Tha Dogg Pound"
You might assume DJ Chose is only a DJ and producer - why else would he be mentioned in this article? - but he&apos;s actually also an artist and songwriter. That&apos;s right, the Houston native is a quadruple threat. Earlier this year Chose released the single "No More Drank," his first since signing a deal with APG in late 2015. When he&apos;s not in the studio recording new material of his own, he&apos;s collaborating with Akon, Kevin Gates, Kirko Bangz, Trae The Truth and more. Credit: "LAX ft. Raheem DeVaughn"
A veteran DJ (and producer) who started DJing house parties at the tender age of 12, DJ Money is Wale&apos;s tour DJ and a staple in the DMV community. Money has entertained hundreds of thousands of listeners on the radio, DJed for President Obama at his first term inauguration and has worked with just about every known artist to rise up from D.C., Maryland, and Virginia. Oh, and Money also A&Red the entire Summer On Sunset project and will assume the same roll for Wale&apos;s forthcoming Shine LP. Credit: "Thought It ft. Ty Dolla $ign & Joe Moses"
You know who Mustard is. A now-veteran producer signed to Roc Nation, Mustard rose to prominence in 2011, when Tyga&apos;s "Rack City" single peaked at #7 on the Billboard Hot 100 and was certified four times platinum, and later cemented his place in the business two years later with his work on YG&apos;s GRAMMY-worthy debut, My Krazy Life. Mustard&apos;s catalog includes work with everyone from Big Sean and Nipsey Hussle to former BEP member Ferige and UK popstar Jessie J. In total, Mustard-produced records have racked up over 25 million in sales in the past five and a half years. Mustard is fresh off the release of his new single, "Don&apos;t Hurt Me," featuring Nicki Minaj and Jeremih. A member of creative collective SOULECTION, Los Angeles-bred DJ and producer Esta has been a name to know for several years now. As an absolute force on SoundCloud, often accumulating millions of streams on his records and instrumentals, ESTA garnered the attention of Wale last November. 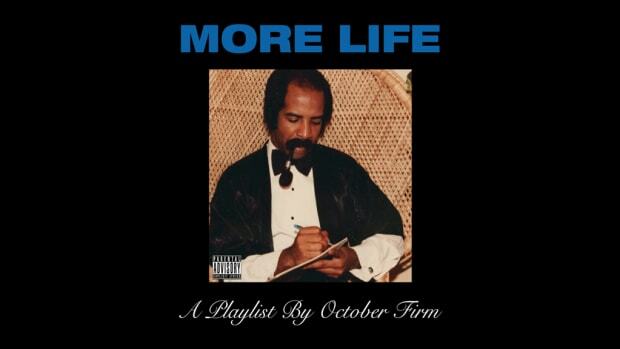 Eight months and one killer remix of Miguel&apos;s "Adorn" later and here we are. Like DJ Chose, Grizz also has a publishing deal with APG/Warner/Chappell, which he earned through years of hard work in his native Atlanta. 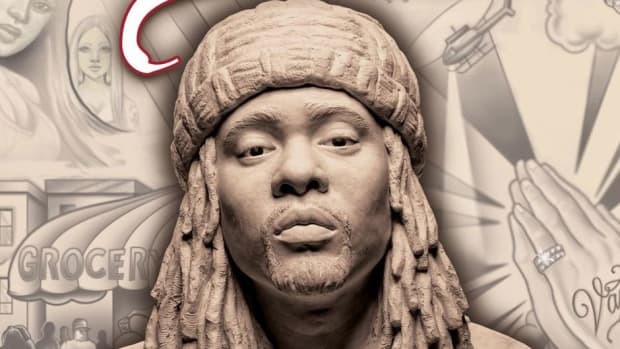 In addition to a handful of credits with frequent collaborator Kevin Gates, Grizz has produced records for August Alsina, Future and Lil Wayne and is a member of Winner&apos;s Circle Publishing alongside Smash David and Hood Famous. Grizzly&apos;s stock has been rising for years, and it should only continue to climb in the months to come -- the producer has a record on Wale&apos;s forthcoming Shine album and has been in the studio with Rick Ross. If you&apos;re a hip-hop fan you should be familiar with Jake One. If you&apos;re somehow not familiar with his name, though, know that you&apos;ve definitely heard his work. The 18-year veteran has released four albums, including Tuxedo with Mayer Hawthorne, and has produced records for a Who&apos;s Who of A-list stars, including 50 Cent, Ghostface Killah, Pusha T, and Rick Ross. The Seattle native also produced Brother&apos;s Ali&apos;s outstanding Mourning in America and Dreaming in Color album, which was the highest charting release of the emcee&apos;s career. Minor is a producer from Arlington, Texas, who first appeared on our radar in 2014, when he produced Phil Adé and Chaz French&apos;s "Way Too Much" collabo. 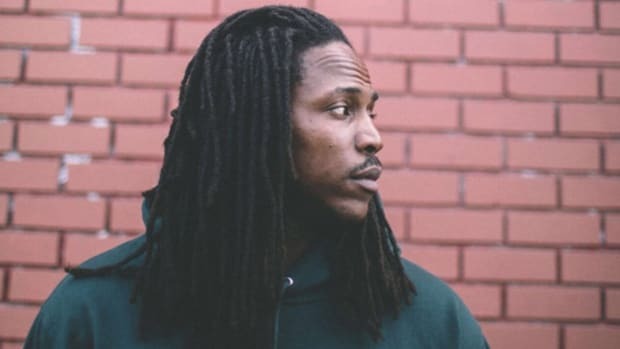 Signed to Dallas-based label Self Conscious Music, the artist and producer first released the "Publishing Checks" beat through a free tape several months ago, which Wale and his team came across while putting together the project. Shortly thereafter Minor&apos;s studio hard drive crashed, which led him to believe he wouldn&apos;t be able to get Wale&apos;s team the tracked out files, but thanks to the handiwork of "one my good friends who is a tech geek" they were able to restore the files and, as they say, the rest is history. Minor is currently working on new music with Adé, who also A&R&apos;ed the record. Credit: "Still Up ft. Phil Adè & Jazz Cartier"
Major is a twice GRAMMY-nominated producer from Petersburg, Virginia, who has worked with Jadakiss, Jay Z, Jeezy, Rick Ross and countless more over his eight year career. Formerly one half of the production duo The Inkredibles, Major has solidified himself as a solo entity over the past few years, establishing his own So Major Music imprint. According to the producer, "Still Up" was built around the vocal work of Ari-Pen Smith, an upcoming singer/songwriter from the UK. Credit: "Losing ft. Victoria Monet"
Here&apos;s a name regular readers of the DJBooth should be familiar with! Reazon has been featured twice on our pages as an artist, but as a DJ, producer and engineer the Southern California native forever remains busy. Credits include work with Kanye West and several of G.O.O.D Music&apos;s current and past artists, including John Legend, Travis Scott and Kid Cudi. On "Losing" the versatile up-and-comer sampled Rochelle Jordan&apos;s song of the same name. In the months ahead Reazon is preparing to work with Kevin Gates and Janelle Monae. Neek, a producer and audio engineer from the DMV, earned his first and, to date, only Booth feature earlier this year, when Sugg Savage&apos;s "Funk Bounce" landed on our homepage. 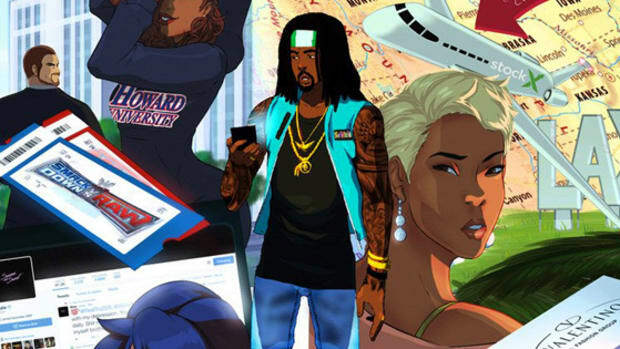 Producing the opening track on Wale&apos;s new mixtape is undoubtedly a stepping stone in Neek&apos;s career, one that he described in detail through an Instagram post the day the project was released. Long story short, one year ago Neek crafted the beat with Wale in mind after hearing a sample from Stanley Clarke&apos;s "East River Drive." 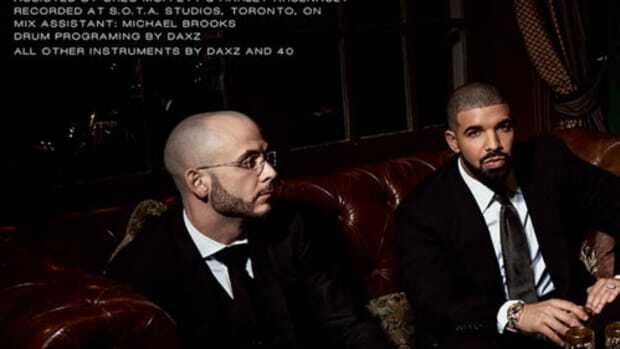 Many months and several tweaks later the beat landed in the hands of DJ Money, who make some minor adjustments and, along with Wale, decided to use the production for the tape&apos;s opening track. The veteran Chicago production duo, who hooked up with Wale "many months ago" in Los Angeles to record "Valentino," are fresh off the release of RCA recording artist Ro James&apos; debut album, ELDORADO, for which they produced two records ("Gas" and "Bad Timing"). In addition to James, Nez & Rio have notched career credits with Ab-Soul, Chance The Rapper, ScHoolboy Q and Tinashe, among many others. The pair are currently hard at work on newcomer Arin Ray&apos;s debut album, Phases. The Long Beach, California native and Wale are no strangers, having worked together on several records over the past three years, including Booth-featured selections "The Followers," "The White Shoes," and "Spoiled." As a triple threat (producer, writer and engineer), Reese has also worked with Stockholm native Beldina. An upstart production duo from Texas, not the discount airline that promises low fares, SoufWest has been racking up production credits with an impressive slate of up-and-coming artists over the past two years, including Ambré, Eric Bellinger, Tate Kobang and Victoria Monet. Credit: "B*tches like you ft. Cam&apos;ron"
A native of Kingston, Jamaica, who calls Toronto home, producer Dan "Spinz" Forrest has worked extensively over the years with hometown act The Airplane Boys, a duo that has graced our pages seven times in the past five years. When Spinz isn&apos;t in the studio working hard at his craft he&apos;s following around Formula One driver Lewis Hamilton, for whom he manages all of his social media accounts. Spinz promises to also have a placement on Wale&apos;s forthcoming Shine album. The most enigmatic producer on this list, we don&apos;t know much about Squat Beats besides that the St. Louis native turned Atlanta resident is associated with bb$4eva and has also produced for the likes of Trey Songz, Kap G and Jovanie. On a side note, it would have been fitting if Squat had produced "Publishing Checks" since he&apos;s signed to the publisher Warner/Chappell, who Wale also shouts out on "Publishing Checks." An artist, songwriter and producer from New York, Swagg R&apos;celious, otherwise known as Edgar Allan Dope, has worked with a litany of buzzmaking female artists over the past handful of years, including Def Loaf, K. Michelle, Justine Skye and Tiara Thomas. R&apos;celious most recently created his own sound library, Skull Petals, which is available for download now, and is currently in the studio with Kehlani. In addition, two artists signed to his Progressive Musik Group label, Lolo Zouai and Kiki Ireland, will both be releasing an EP this summer.